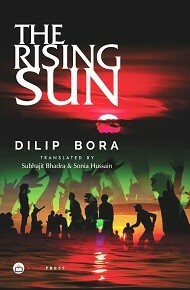 Dilip Bora was born on 1st of September, 1955 in the district of Nagaon, Assam. 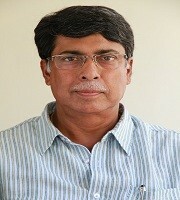 After completing school in 1971, he joined Cotton College and did his B.A. in Economics securing a first class from Gauhati University. He worked as a probationary officer in Union Bank of India before completing his M.A in Economics from G.U securing 1st Class position with a gold medal. In 1982 Bora was appointed in Indian police service and was allotted Assam-Meghalaya cadre. In his student life he was highly active in student affairs and as the general secretary of Cotton College Union Society and the president of the all Guwahati Students’Union he contributed towards successful conduct of the medium of instruction and foreigner’s deportation issues. With his deep insight into the various problems affecting the state and the youth, he ventured into the literacy world and wroteKalijarAai in 2006 as a socio-political novel which has earned him accolades and appreciation from all section of readers. The novel has already been published in Hindi. So far has published 7 novels and four short story collections. This is his third novel and deal with a very sensitive issue affecting not only Assam but entire political fabric of our country.